Member of the German Bundestag (2009-2013) for the “Alliance '90/The Greens”. Ms. von Cramon-Taubadel served as the faction’s spokesperson for European Union’s external relations and as Chairwoman of the Sports Committee of the Bundestag. Viola von Cramon-Taubadel was a member of the German delegation at the Parliamentary Assemblies of the Council of Europe and the OSCE. She also was responsible for the International Parliamentary Scholarship of the Bundestag (Internationales Parlaments-Stipendium / IPS). Before her parliamentary mandate, Viola von Cramon-Taubadel studied agricultural science at the Universities of Bonn (Federal Republic of Germany) and Kent (the United Kingdom) and mainly worked on international projects implemented in Eastern Europe. In 2008, Ms. von Cramon-Taubadel was awarded the Körber Foundation’s prize of the USable Transatlantic Idea Competition. After leaving the Parliament, Ms. von Cramon-Taubadel mainly focused on Eastern European projects. Therefore, she has built up a network for Ukraine issues in Germany and founded the "Partners Osteuropa gGmbH" where she is a partner and one of the Executive Directors. 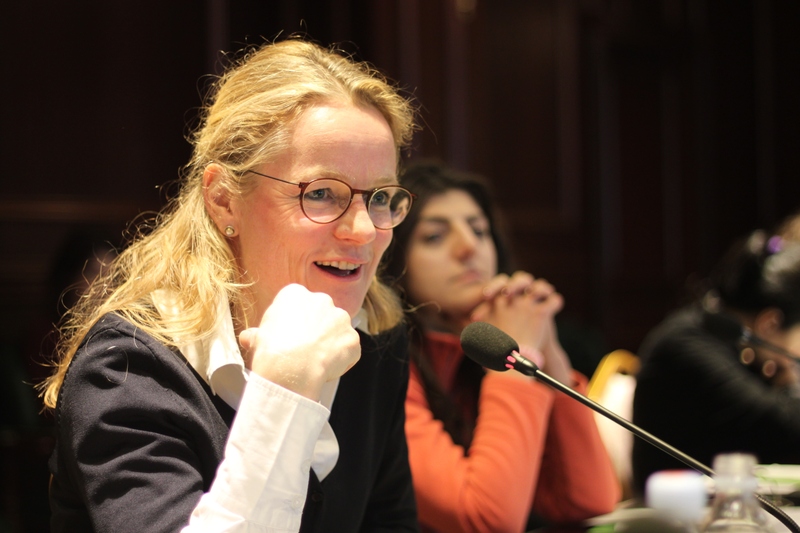 Ms. von Cramon-Taubadel’s political interests cover the Greek-German cooperation and democratization issues in the South Caucasus.